☃☃ Provides you with a quick and easy way to dress up your Christmas trees, wreaths and other holiday decorating. ☃☃ Christmas Decoration -- An essential for Christmas holly wreath decorations. Create the perfect atmosphere for every holiday decor or for every room with stunning hanging displays. 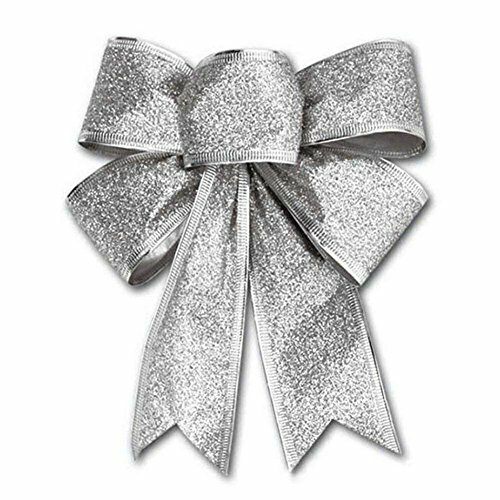 Decorate your home with these beautiful bows that are durable for multi-year usage. ☃☃ A decorative style gives the handmade charm of a vintage, modern, or any seasonal holiday celebration. Compliments the winter season & christmas decorations. They make complimentary christmas stocking pairings on the mantel, the fire place or hung on the wall. ☃☃ This Christmas bow is created with wire edge ribbons that hold their shape, Show your Holiday Spirit and Impress Friends and Family. ☃☃ All ribbon is heat sealed to prevent fraying, All bows for girls are hand sewn and attached together with hot glue after sewing to double secure them. If you have any questions about this product by CHDHALTD, contact us by completing and submitting the form below. If you are looking for a specif part number, please include it with your message.